Lisa Mladinich is a life coach dedicated to helping Catholic women break through obstacles and fulfill their dreams, in order to live powerful lives for God's greater glory. She is a best-selling author, speaker, and retreat leader, and the host of WOMAN: Strong Faith, True Beauty (Shalom World TV). She is also the host of two free online conferences for Catholic homeschooling families—REFRESH Virtual Midwinter Conference and INSPIRE Virtual Summer Conference, both sponsored by Homeschool Connections Online, where she is an instructor. She teaches writing, leadership, study skills, and powerful courses for teen and tween girls about the Church’s liberating understanding of authentic beauty and femininity. Lisa is very excited to be the host of a new podcast debuting in August 2019, called Homeschooling Saints, also sponsored by Homeschool Connections. Lisa is a popular speaker on catechetical topics and women's spirituality whose dynamic presentations are seen around the country at parishes, regional events, and conferences. She has been a frequent guest on Catholic TV, radio, and podcasts, and is a regular contributor to Relevant Radio's Morning Air with John Harper and Glen Leverenz. 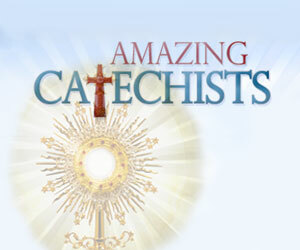 Her catechetical booklets, "Be an Amazing Catechist: Inspire the Faith of Children," and "Be an Amazing Catechist: Sacramental Preparation," are available from Our Sunday Visitor (in English and Spanish). Her best-selling, award-winning book, "True Radiance: Finding Grace in the Second Half of life" is available from Servant Books/Franciscan Media. Her new book of prayers for Catholic teachers, catechists, and homeschooling families is called "Heads Bowed: Prayers for Catholic School Days," from Liguori Publications. 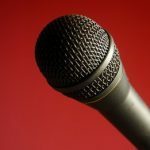 Lisa Mladinich is a proud member of the elite Catholic Speakers Organization, CMG Booking. For more information, visit: http://www.cmgbooking.com/catholic-speakers/lisa-mladinich or email lisa@mladinich.com.